austin | Why you drive bad?! 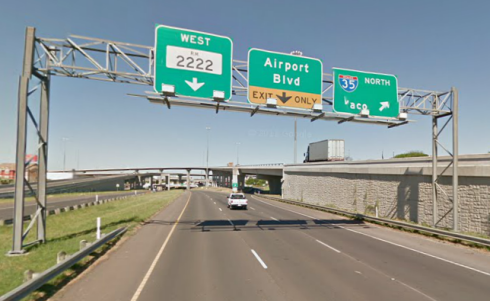 US 290 becomes RM2222 at I-35. The first sign you’ll see tells you what lane you want to be in. This is far more descriptive than most of the road signs in Austin already, but the logic is still flawed. Go up a little and the I-35 northbound ramp branches off, but that particular lane continues. The next sign comes up. Oh snap! If you were in the middle lane and you weren’t paying attention, you would have missed your exit. The middle lane was clearly not an “Exit Only” lane. The left two lanes actually continue to RM2222 which after the interchange becomes a 4-lane city street called Koenig (pronounced KAY-nig) Lane. 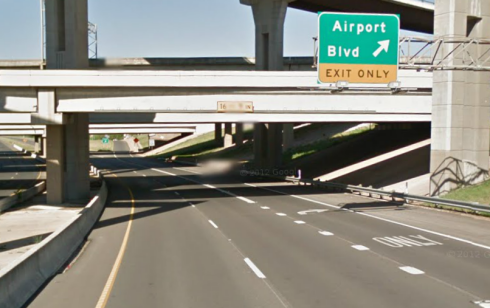 If you missed the Airport Blvd exit, you will have a helluva time getting back unless you pull a U-Turn when the road becomes undivided. An overhead view shows that there is a rail line that runs parallel to Airport Blvd and there’s no way to cross it until you get to a major street. Good job, guys! Barton Springs Road is a thoroughfare that runs through Zilker Park. On very nice days, everyone and their dogs can be found at Zilker Park. Unfortunately, everyone is driving there due to the poor public transit which means Barton Springs Road is a major fustercluck, especially at Stratford Drive which branches off into several parking areas. 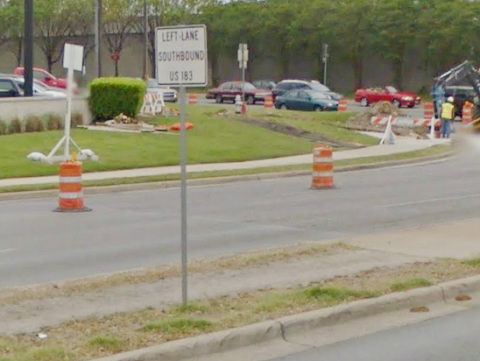 If you’re trying to make a left turn out of the park at Stratford Drive onto Barton Springs Road, good luck to you! You’ll have to deal with those super-cautious and afraid-to-drive motorists who shouldn’t be driving that will block traffic for twenty minutes because their Prius isn’t powerful enough to play Frogger! If you give up, make a U-turn, and try and go around MoPac on Stratford you’ll just end up lost in the hills because it doesn’t go around MoPac at all. Barton Springs Road would really benefit from having roundabouts installed in Zilker Park since there’s so much traffic coming and going at a constant rate. Since people aren’t turning on their lights at night, they also don’t turn on their lights in inclement weather. A neutral colored car in the fog or pouring rain is going to blend right in. Maybe if the car was a wild color such as ruby red or emerald green then it’d probably stand out. But using your headlights when it’s foggy, raining, or snowing makes you more visible to other motorists. Yeah, turn on the lights manually so the taillights are lit, too. I’ve come into some close encounters with some of these morons that aren’t turning on their lights. Automatic headlights should be a standard feature since it’s starting to become common in most cars. Since the lights are computer controlled, it can also be turned on with the wipers. Brilliant! 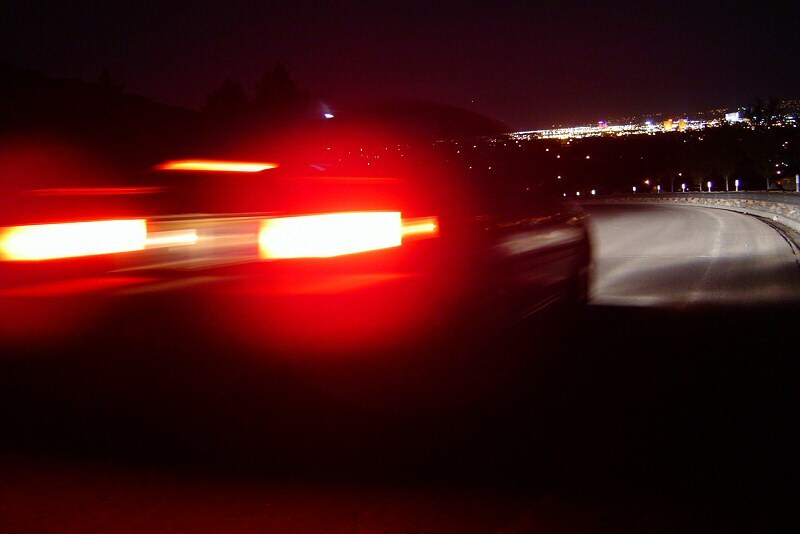 Until then, flash your lights at these motorists that aren’t using common sense. Look how nice this drive is! I went home for the holidays and driving around I felt like I was around courteous drivers. When I was growing up I thought everyone around me were terrible drivers cutting people off or speeding. It wasn’t until I moved to Austin that I realized I was terribly wrong and haven’t seen bad driving up to that point. Austin traffic is a mix of drivers from metropolitan cities that have to be somewhere fast, laid-back hypermiling hippies, and new residents who have never driven before. This complete chaos results in people who can’t merge properly, can’t maintain the speed limit, don’t care about other drivers, etc. Whenever I go out I put on my battle helmet to prepare for the onslaught of slow drivers. It doesn’t seem right when I’m doing the speed limit and I’m passing cars like they were standing still! It was a breath of fresh air when I realized how much nicer people were on the roads back home. I would be going 5 over the speed limit and still get passed. People would move over if you were coming up the on-ramp to merge. 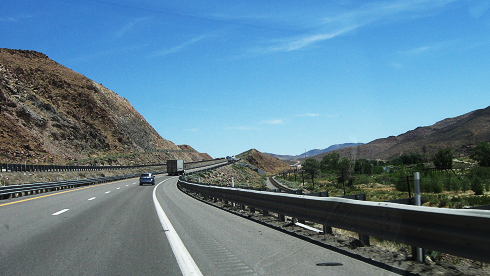 People would move over to the right lane when you came up behind them in the left lane. People would accelerate from the stop light quickly because they knew the green light was a finite resource. It was just so pleasant to drive again! I seriously want good public transportation in Austin only to take people who don’t want to drive off the roads. 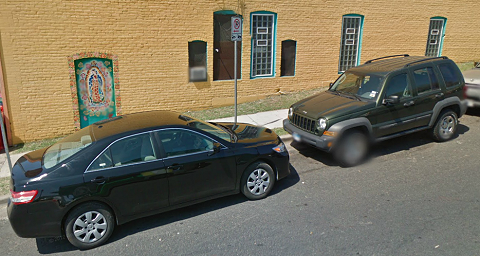 The other day I went to a meetup and I parked at this corner (pictured above). There was an opening where the Jeep was parked and I was thinking to myself “Sweet! I’ll have an easy escape route when I leave!” After the event was over, I walked back to my car to see a car parked where the Camry was parked. Seriously? The “No parking” sign indicating no parking from the sign to the street corner wasn’t your first clue that you shouldn’t be parking there? Now my easy escape route has been foiled! I hate people. Why must you slow down? 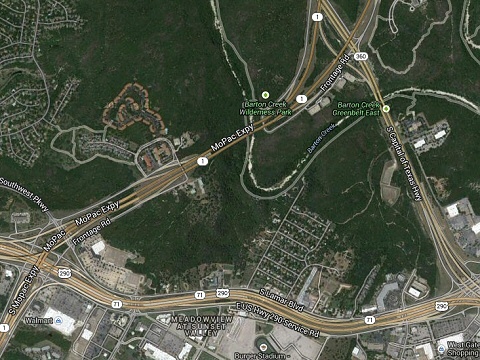 The section of MoPac between TX360 and TX71 has to be a mini Bermuda Triangle. For some reason traffic just slows the hell down to 55 or 60 MPH from 65 MPH. The speed limit is still 65 MPH, but everyone just slows down. It’s just incredible every time I drive down this stretch of MoPac that the slowness happens. It’s not a very confusing area except for a left-hand exit, which is clearly marked way in advance (unlike other interchanges). It’s quite the mystery. This sign big enough for you? You’d think something as important as trying to get on the highway would require a large sign to get your attention. Nope! Why waste something like that on an overhead sign when a 3 foot sign in the median would work just fine like this one at US183 and Braker Lane? That’s a nice big FU from the transportation department.